(Wheaton, Illinois) – DuPagePads was one of 37 not-for-profit organizations and six local collaboratives to receive a grant at the DuPage Foundation’s Spring Grant Awards Breakfast held on Wednesday, June 14, at Glen Oak County Club in Glen Ellyn. The DuPage Foundation awarded more than $800,000 in grants to organizations working in the area of Health and Human Services and local collaboratives focused on improving kindergarten-readiness in DuPage County. The grant will help underwrite the Family Outreach program by providing continued access to case management and support services, ultimately reducing the amount of time children are unstably housed. “Research has shown that once children who were homeless obtain a place to call ‘home,’ their health improves and they can focus in school and excel in their studies. DuPagePads Family Outreach program keeps families engaged in comprehensive support services so that they can overcome their challenges to housing,” says Carol Simler, DuPagePads President & CEO. DuPage Foundation awards grant to DuPagePads. 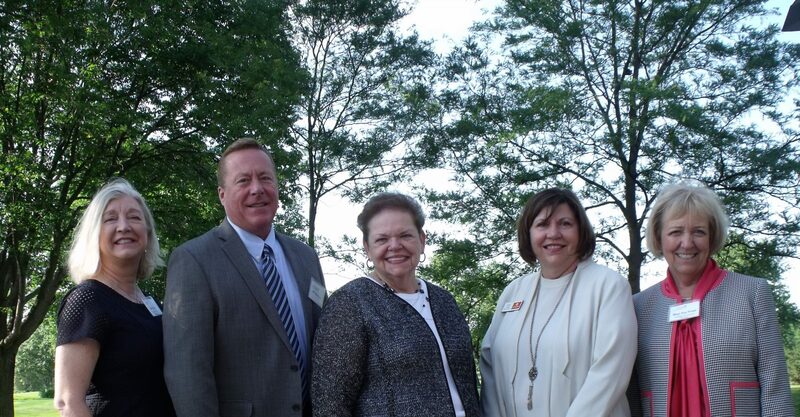 From left: Del Koch, DuPage Foundation Trustee; Jim Heinking, donor-advisor; Carol Simler and Valerie Jungels, DuPagePads; Mary Kay Kluge, DuPage Foundation Trustee. As a result of this grant, case managers will work with families at a location that is convenient for them to ensure basic needs are met and develop a plan for long-term housing. Families work with their case manager to obtain mainstream benefits, access healthcare, obtain employment training and advocate for their children within local school districts. The Family Outreach program aims to serve over 100 individuals with more than half being under the age of 18. The program estimates that 60% of those served will obtain stable housing and 40% will obtain housing in six months or less. With over 32 years of service, DuPagePads has become the largest provider of services to those who are homeless in DuPage County. DuPagePads’ solution to ending homelessness is housing, coupled with support services and employment to restore hope and transform lives. Last year the agency served 1,322 individuals, with 71% listing a last address in DuPage County. 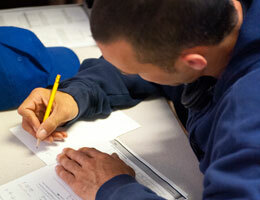 Focused on ending homelessness, last year the agency assisted 365 individuals in obtaining stable housing. The administration office is located at 601 West Liberty, Wheaton, IL 60187. Additional information can be obtained at www.dupagepads.org. During its Spring Community Needs Grant Cycle, the Foundation awarded a total of $483,288 in Health & Human Services grants. Community Needs grants are primarily awarded based on earnings from the Foundation’s unrestricted and field-of-interest funds. Additionally, during the selection process, the Foundation offers representatives of its donor-advised funds the opportunity to review the grant applications that it receives through its Community Needs Grant Program. It does this to inform local donors about the needs in the community, introduce them to the many organizations that apply to the Foundation, and to engage them in helping the Foundation increase the level of grant support that it provides through the grant process. In addition to the Community Needs grants, the DuPage Foundation awarded $317,612 from its Bright & Early DuPage initiative to further the efforts of local collaboratives focused on improving kindergarten-readiness in DuPage County.